Better Than Brand New! 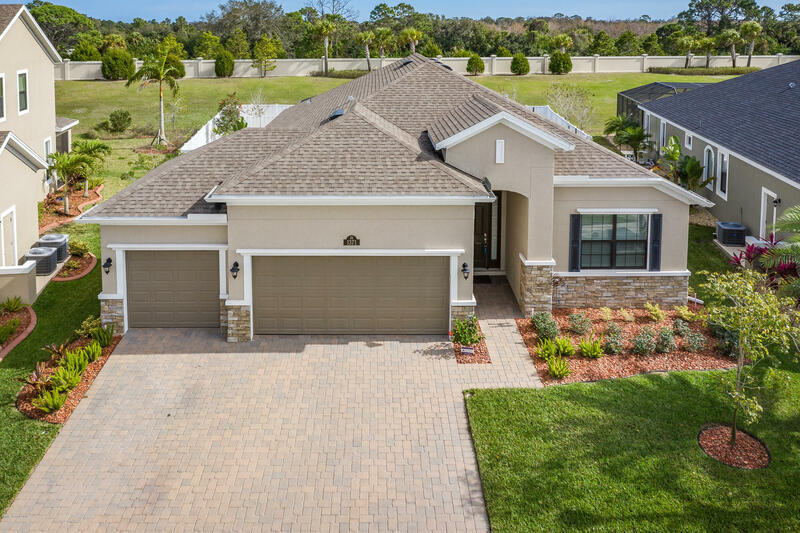 This 4 bedroom, 3 bath, 3 car garage Viera home has heated screened pool, vinyl fenced backyard, tankless hot water & everything you want in your new home! An open concept plan provides a view of the spacious great room overlooking the heated pool & outdoor living area while the roomy eat-in kitchen includes 42 in cabinets with crown molding, granite counter tops, gas range, brand new stainless steel bottom freezer refrigerator, & breakfast bar. The great room features 20 in ceramic tile that continues throughout the main living area & bedroom 2 is (current office) next to the 2nd hall bath. Brand new washer/dryer are included. In the heart of Viera near shopping, restaurants, hospital & easy access to I95 allows for easy work commute. Hurry-It won't last!